All dates Sep 17, 2019 from 07:00 PM to 08:00 PM Oct 15, 2019 from 07:00 PM to 08:00 PM Nov 19, 2019 from 07:00 PM to 08:00 PM Jan 21, 2020 from 07:00 PM to 08:00 PM There are 16 more occurrences. The Addison Township Public Library Board of Trustees meets the third Tuesday of each month except in July and December. It is the goal of the Board to oversee the budget, policies and building facility. 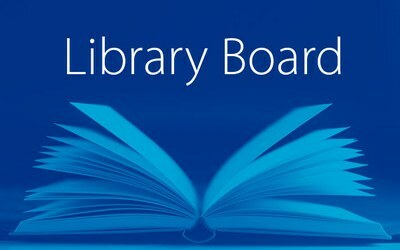 The Library Board keeps abreast of legislation and the impact it has on the Library community.